Cambridge Engineered Solutions, a Maryland-based manufacturer of metal mesh conveyor belts and filtration systems for food processing and industrial applications, began a partnership with Krispy Kreme in 1975 that endures today. 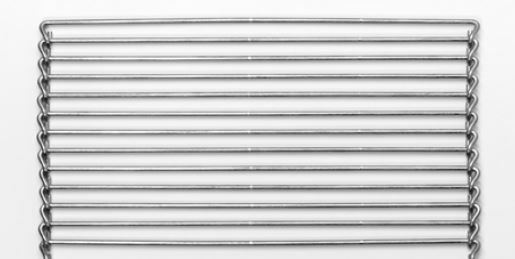 Krispy Kreme exclusively specifies Cambridge’s patented Sani-Grid® stainless steel mesh belt because it withstands the high temperatures, corrosive sugars, clear openings to cool the gems along with the ability to reclaim their trademark glaze required to make almost one billion world-famous donuts annually. Krispy Kreme Doughnuts, Inc. is an international retailer of premium sweet treats including its signature hot glazed doughnut. Based in Winston-Salem, North Carolina since it was founded in 1937, the company has 4,300 employees and 1,100 shops (including franchises) in 27 countries. 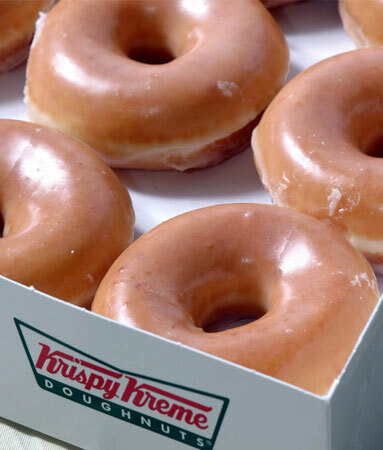 In the mid-60’s, Krispy Kreme pioneered an innovative process for glazing their signature donuts. Named the “waterfall icing” machine, it bathes hundreds of donuts a minute as they emerge from the deep fryer along a moving conveyor. Their proprietary waterfall application ensures even distribution of the glaze while capturing the excess product and returning it to the vat to reduce waste. Krispy Kreme engineers determined that a stainless steel conveyor belt would allow the doughnuts to move seamlessly from cooking to glazing to cooling. They evaluated numerous belts based on durability and competitive pricing. Furthermore, they required a partner who could fabricate, deliver, and service a growing number of belts to equip both company and franchise stores as they embarked on an aggressive expansion. While sweet and delicate to eat, preparing doughnuts entails a tough processing environment. High amounts of sugar are abrasive to conveyor belts. Fats (oils) used in cooking are difficult to remove during sanitation. And ‘grit’ from the glaze clogs and is abrasive to the moving parts of the conveyor system. Krispy Kreme made contact with Cambridge after learning of their reputation in the food processing industry. After site visits to Winston-Salem and meetings with both company’s engineers, Cambridge furnished Krispy Kreme with a Sani-Grid® belt for their R&D facility. After the line testing by Krispy Kreme, the full production line layout was implemented using Cambridge belting. Approximately 100 feet of Sani-Grid® belt are used in an average-size conveyor system at each franchise. Three stages of the donut processing are prepared on Sani-Grid®: Cooking in hot oil; icing through the waterfall application; and cooling before packaging occurs directly from the end of the conveyor line. Sani-Grid® belting helps produce almost one billion doughnuts annually and delivers waste an average belt life of 5 years. Because of the belts outside knuckles, stainless steel rods and positive drive, sugar and oil do not accumulate during processing which wears down the external product surface. Krispy Kreme uses Sani-Grid® as the exclusive straight line and turn belt on all conveyors in their company-owned shops. Franchisees are required to buy and equip their conveyors with Sani-Grid to ensure quality control. Krispy Kreme’s equipment manufacturer - also based in Winston-Salem - designs, manufactures and ships all components for new stores and fulfills after market parts and systems for company stores and franchise operations. As Krispy Kreme looks to enter and expand in new markets in Asia and South America, Cambridge Engineered Solutions looks forward to continuing our successful partnership for the next 50 years. Krispy Kreme’s reputation as a worldwide leader in deliciousness is the result of an unwavering commitment to quality, taste and presentation. Our prized glazed doughnuts are made using specialty equipment designed with Cambridge’s Sanigrid conveyor belts. These long-lasting superior metal belts help ensure our equipment can meet the demand – and high standards – our doughnuts require. Cambridge’s loyalty and competitive pricing have made them an integral part of our team – and our equipment. I’ve had the honor and privilege working with Krispy Kreme for 25 years. They not only produce the highest quality products, they are known for having an outstanding team and work environment. When I visit their Winston-Salem headquarters, the beautiful campus and team I’m proud to call friends, are a warm and welcome site.